So, I was recently asked if I would like to try Chocolatey Brownies & Chocolate Caramel Pretzel Bars. Can you guess what my answer might be? Heck yeah! Days later I received a cute little weekender bag with three new snack products to taste and share. I didn't do so well with the sharing part, but my hubby did manage to grab a couple of the Fibre 1 Chocolatey Fudge 110 Cal Brownies before they disappeared. Yes, I know that companies have started to make tastier snacks in 100 calorie portions to help people make healthy choices. Basically, to have their cake and eat it too. And yes, I know that eating an entire box of 110 calorie snack bars is not the best choice, but they were DANG GOOD! Which could be due in part to the fact that they are made with REAL COCOA. "I wish they were thicker. I like the fact that they don't have nuts. I hate nuts in my brownies and cookies. These are the most intensely chocolate flavoured brownies I've had from a wrapper. If I could eat these and not have someone tell me it was from Fibre 1, I'd be happier." This didn't make much sense to me, so I asked him to explain. Basically he thinks that fiber is evil and brands try to scam people into thinking they need more fiber just to sell product. I can't say I share his logic, but I do agree that Fibre 1 has succeeded in offering really good brownies. But I don't really care too much about fiber either. Apparently I have a problem with portion control too. 1. Nature Valley Granola Thins: "These delicate toasted granola squares have a super crispy texture and they are rich & creamy while only 90 Calories. They come in both Chocolate or Peanut Butter flavour." I gave these to my daughter because I have a hard time chewing anything crunchy. They are the perfect size for her and she thought she was getting a chocolate bar. I will be hunting for the Peanut Butter Flavoured thins with my FREE PRODUCT COUPON in July. 2. 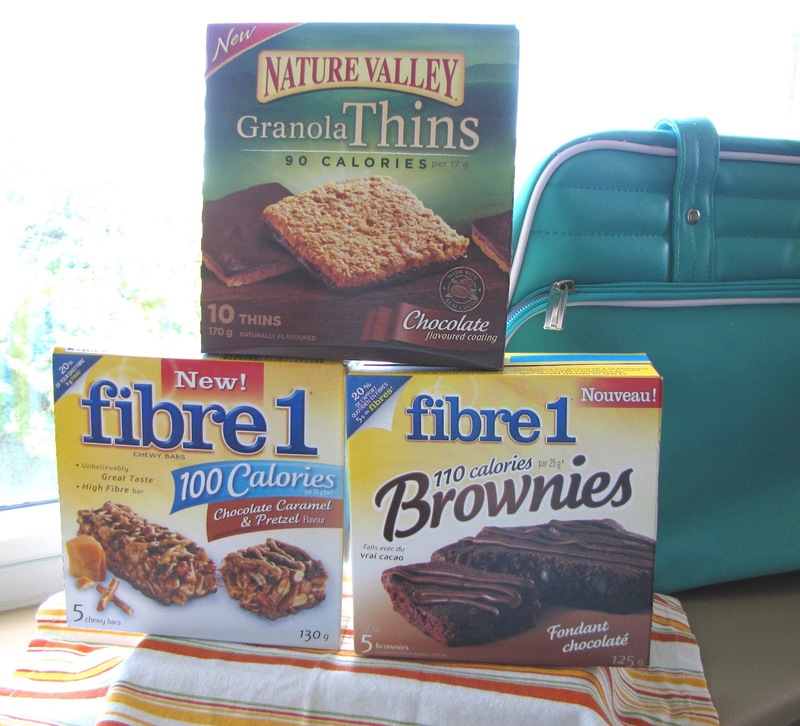 Fibre 1 Brownies: "Simply a delicious 110 calories brownie! Comes in two flavours: Chocolate Peanut Butter or Chocolatey Fudge. You can find them in the granola bar aisle." These truly are delicious and worth a try. Whether you are looking for portion controlled treats, trying to add extra fiber to your diet, or just looking for delicious snacks on the run. 3. Fibre 1 Chocolate Caramel & Pretzel Bars: "A great-tasting high Fibre bar with the perfect trio of chocolate, sweet caramel and salty pretzel crunch with only 100 Calories. It’s also a simple way to get 20% of your daily value of fibre." I was happy to have these all to myself, even my two year old said; "Those are mommy's". They had a good mix of salty and sweet, and weren't too crunchy for me. 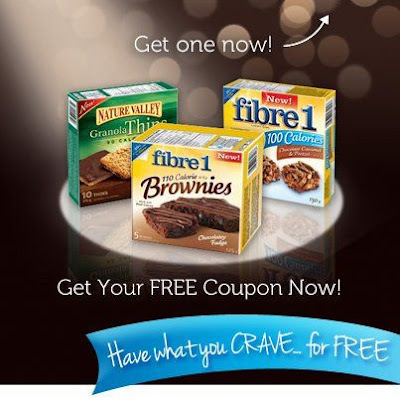 There will be a one-day only FREE coupon available (linking to Save.ca) for a limited time only and until July 3rd. It will be easy to spot this promotion on the Life Made Delicious Facebook page with pinned images calling it out and linking to the coupon tab. Once downloaded, the big date to mark down on your calendar to redeem it will be July 24th ONLY. If the FREE Product Coupon isn't enough to satisfy your snack attack, enter to WIN a Prize Pack similar to mine! Fibre 1 product photo was borrowed from Life Made Delicious' facebook page. Ohh I want to try the Fireside Smores Recipe this summer! is this giveaway for canadians only by chance? I would love to try the Campfire Smores Banana Boats Recipe! I would like to try the Smoky Cheddar Potatoes recipe! Yes, this is for Canadians only as requested by the Sponsor. I'd like to try the Chocolate and Berries Yogurt Dessert Recipe. The fireside smores sound awesome!